Writer/Director Joss Whedon received so much negative feedback from this film, that he actually deactivated his Twitter, but I can't understand why. It's not that Age of Ultron was a bad film, in fact there were many parts of it that were very impressive, but what bothered people was how Age of Ultron wasn't geared toward general audiences. In the first film, even if you'd never seen a Marvel film, you could follow the story and enjoy it, but that's not the case with the sequel. Age of Ultron is aimed more at the comic-con crowd and parts of it were very confusing to those of us who aren't familiar with the comics that the film is based on. There are a lot of new characters and new technologies introduced in this film, without any kind of background information given, and as the film progresses, it did become confusing. The story begins with the Avengers as a separate faction from Shield, centering on Tony Stark (Robert Downey Jr.) and David Banner (Mark Ruffalo) working to develop a new type of artificial intelligence. The pair believe that if they can create this intelligence, everyone can retire and won't have to fight anymore. As always there is a problem though, as the A.I., known as Ultron, comes to life and fails to see the distinction between saving humanity and destroying the planet for the protection of humanity. 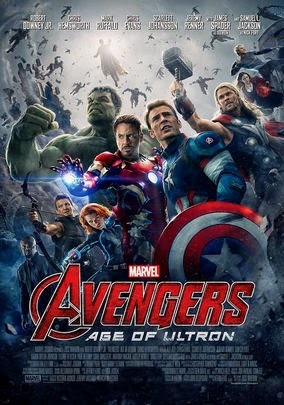 The film then becomes a race for the clock as the mighty Avengers try to stop Ultron from destroying the planet. We all know that sequels aren't as good as the original, because the creators change things too much and Age of Ultron is no exception. The story isn't even close to as strong as the first film, but that doesn't mean it wasn't good. The special effects are even better and the chemistry between the large cast is much more important then it had been previously. These things set the foundation for a better film, but the story fails to deliver. The Avengers is a monumental undertaking for cinema, with so many well known actors and characters trying to come together as one. The idea is ingenious and the technology behind the whole thing is nothing short of magic, but as far as films go, while I loved the first one, I could have done without Age of Ultron.